Lama Zopa Rinpoche with Khyongla Rato Rinpoche, New York, USA, July 2015. 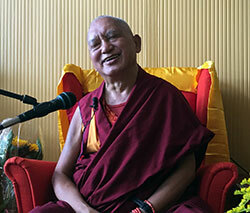 Lama Zopa Rinpoche has been receiving oral transmissions from Khyongla Rinpoche. 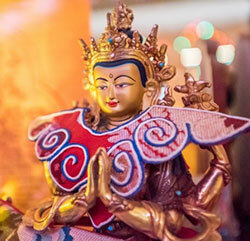 Celebrating FPMT’s Thirteenth International Sangha Day! One of hundreds of buddha statues at Buddha Amitabha Pure Land, Washington, US. Lama Zopa Rinpoche at Maitreya Instituut Loenen, the Netherlands, July 2015. 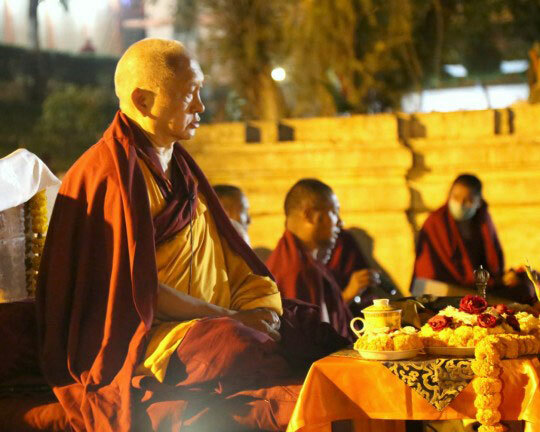 Several photo albums featuring Lama Zopa Rinpoche’s activities around the world have been posted to FPMT.org for students and supporters to enjoy. The Social Services Fund was established to support Lama Zopa Rinpoche’s Vast Visions for the FPMT organization by offering grants to beneficial charitable activities. The following grants are made possible due to the kindness of our generous donors. Thanks to all who contribute to these, and many more, charitable activities that benefit so may in need around the world. MAITRI Charitable Trust in their ongoing efforts to provide essential education, medical care, aid, and other charitable services to the people and animals of Bodhgaya, India, which is the poorest and most densely populated area in the country; The Animal Liberation Sanctuary in Nepal in support of their incredibly compassionate work providing shelter and care for animals rescued from being killed, so that they may live out their natural lives in peace and attain a higher rebirth; Rolwaling Sangag Choling Monastery School to help with a desperately needed hostel for young Nepali school children; and FPMT Mongolia’s Lamp of the Path NGO to offer social services to some of the poor and homeless living in Ulaanbaatar, Mongolia. 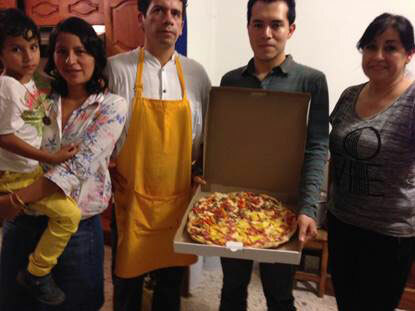 A simple practice from your home can greatly benefit communities around the world. Order a free Merit Box kit for your altar today! 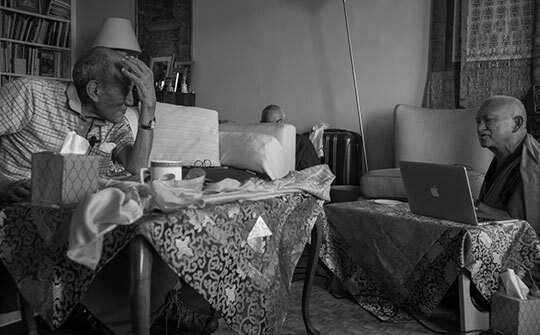 Khyongla Rato Rinpoche and Lama Zopa Rinpoche, New York, USA, August 2015. Photo by Geshe Nicholas Vreeland. “Our goal is to benefit sentient beings, [help them achieve] the ultimate happiness – liberation from oceans of samsara, and achieve enlightenment, peerless happiness. … What you want is success, happiness, being beneficial to others. What is success? To be beneficial to others. Maybe non-Dharma organizations want success for yourself. But here success is for others, your life to be successful for others. So this is a very, very important thing. The video and full edited transcript of this teaching are up in the FPMT Affiliates Area. Many thanks to Lama Yeshe Wisdom Archive for providing the transcript! Lama Zopa Rinpoche blessing a 17-year-old dog, Maitreya Instituut Loenen, the Netherlands, July 2015. An excerpt from Rinpoche’s July teachings at Maitreya Instituut Loenen, the Netherlands. These teachings are so powerful for those of us offering service within the Foundation and also help us understand Ven. Roger Kunsang’s role in the organization! Read the full edited advice. 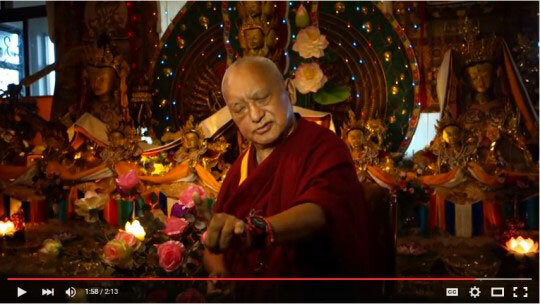 The video and the unedited transcript are up on Rinpoche Available Now (see teachings for July 11, 2015). Land of Medicine Buddha, California, USA, is looking for an assistant director; Land of Joy, UK, needs a spiritual program coordinator, a cook, an office assistant and a housekeeper. Dharmakaya Study Group Now a Center! Dharmakaya started as an FPMT study group back in 2012, in Reno, Nevada, USA, and we rejoice that founding coordinator Trey Ligon and his team have enabled the study group to transition into a full FPMT center affiliated with FPMT, Inc.! 166 Warwick St West, Hobart, Tasmania.